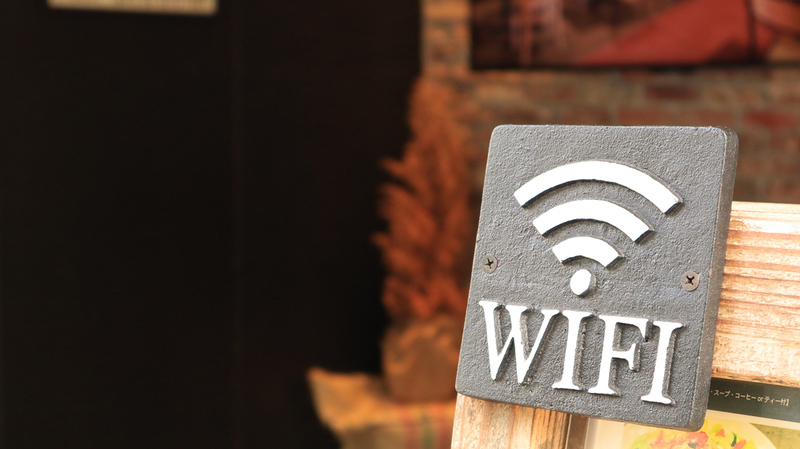 Kyoto recently installed dozens of free wifi hotspots throughout the city to make a wifi network permanently available to the general public. I tested the network to see how useful it will be for travelers. Here’s a map of the hotspots and English language information on how to join and use the system. Since I was on the east side of town, I decided to try a hotspot near Sanjo Keihan Station. First, I tried logging on from the Sanjo Ohashi Starbucks, which is directly across the river from Sanjo Keihan Station (a distance of about 150 meters). I was surprised that the hotspot didn’t even show up on my laptop. So I crossed the street and tried logging in from the corner of Sanjo and Kawabata Streets (essentially right at the station). Here, I was able to get a signal, but it was so weak that I couldn’t log on. So, I finally moved to a spot right near the statue on the north side of the station (next to Sanjo Street). Finally, I was able to get a strong enough signal to log on. Once logged on, I found the system very fast and reliable. However, my conclusion is that this network will be of less use to travelers than I had originally hoped. The reason for this should be obvious from the above: The hotspots have limited range and are usually located in places where you’d have to sit outside to use them. If you plan to use Kyoto’s free wifi system, you have to sign up in advance to get an access code. It’s a kind of Catch-22 thing: you can’t log on without the code, and you can’t get the code without being online, so be sure to email and get your code before you come to Kyoto (or any time you have internet access). For reference, the SSID for these hotspots is either KYOTO_WiFi01 or KYOTO_WiFi02. In conclusion, for most travelers, Kyoto’s new free wifi system will be of limited utility. You’ll probably find it much more convenient to use the free wifi at Starbucks stores across Japan. Or, if you need access just about anywhere you go, you can get a B-Mobile data-only Visitor SIM card. And of course, you can just opt to stay at a Kyoto hotel with free wifi.